PERFORM PERFORM is a newly initiated festival dedicated to contemporary performance art and uniting theoretical and practical aspects of performance art. It takes place during two days in August 2016 in Düdingen (Fribourg, Switzerland). The project was born from the initiative of the young association PERFORM – consisting of a volunteer working, dynamic and bilingual group, who are interested in exploring the artistic boundaries of performance art. Bad Bonn in Düdingen will offer its space as well as its idyllic surroundings for the duration of the event. 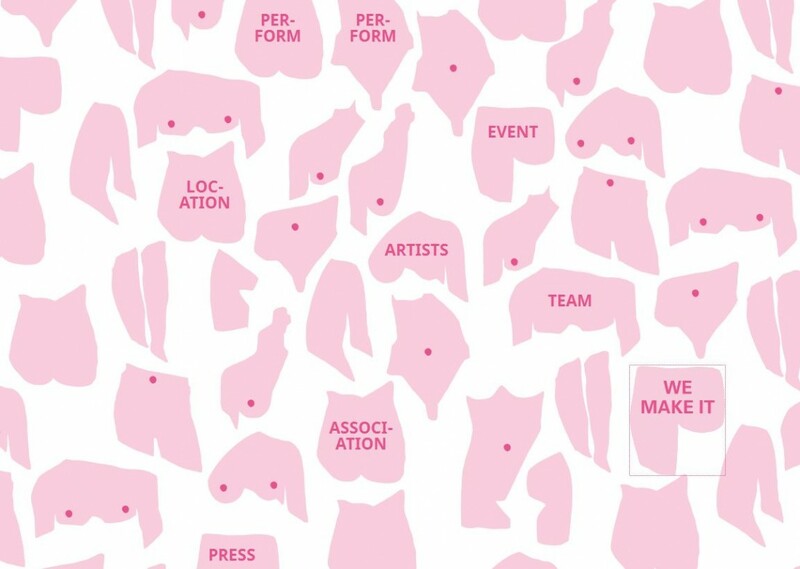 The aim of the festival PERFORM PERFORM is to create a platform for experimentation and exchange for the local performance scene, and to think through interdisciplinary cooperation performative art afresh. On the one hand, the possibility of exchange between experts and emerging artists is created, on the other hand the limits of the medium performance are to be explored. Within PERFORM PERFORM performance will be understood as a contemporary medium of expression and a bridge between different disciplines. The festival consists of two parts: During the first day there will be shown a total of ten performances. The program consists of already established, emerging, local, and experimental positions. The festival PERFORM PERFORM brings together different disciplines (performance / music, performance / language, performance / theater, performance / theory). Furthermore the heterogeneous approaches towards performance of each artistic work as well as the focus on interdisciplinarity is contributing to the character of the festival. The second day of the festival is devoted to discussion, exchange and collaborative learning. The day starts with a brunch & discussion and feedback between and exclusive for the performers of the previous day. In the afternoon, again open for public, there will take place a workshop, followed by a Round Table on “Interdisciplinary and Performance“. Experts will thus deal with the fluid boundaries towards dance, theater, music and the visual arts.